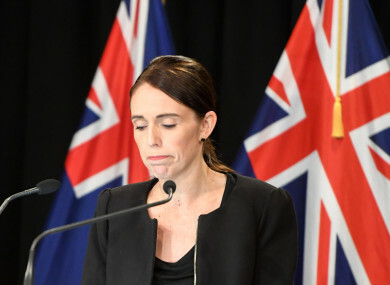 A NATIONAL REMEMBRANCE service for the victims of the attacks of mosques in New Zealand will be held next Friday, Prime Minister Jacinda Ardern has announced. Fifty people were killed and dozens more injured in the mass shooting at two mosques in Christchurch on Friday 15 March. Over the past week, victims’ funerals took place, with a father and son among the first people to be laid to rest. In the week since the unprecedented terror attack there has been an outpouring of grief and love in our country. The service will be a chance to once again show that New Zealanders are compassionate, inclusive and diverse, and that we will protect those values. Ardern added that it is anticipated that international visitors will also want to attend the service. This announcement comes as up to 40,000 people attended a vigil today at Hagley Park. Okirano Tilaia, the head boy at Cashmere High School, which lost two students in the attack, cited Martin Luther King Jr in his speech, saying he conquered people with love, peace and solidarity. Darkness cannot drive out darkness, only light can. And hatred cannot drive out hatred, only love can. On Friday, people across the nation observed the Muslim call to prayer one week after the attacks. Brenton Tarrant has been charged with murder in the attacks and is scheduled to make his next court appearance on 5 April. Email “National remembrance service to be held in New Zealand for mosque attack victims”. Feedback on “National remembrance service to be held in New Zealand for mosque attack victims”.